A few years ago we thought that a large screen is 2.4” inch, but very quickly we got used to our mobile “pets” with 4” and 5” inch screen. Therefore, we have no doubt that the Nokia phablet will find their place in the hands of many users. 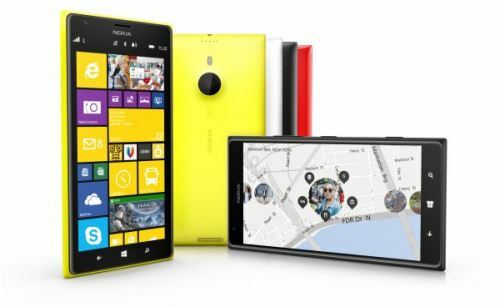 Nokia Lumia 1520 has a superb 6-inch, 1080p full HD display that provides excellent resolution and readability in all conditions, and as shown by many comparative tests with similar devices. Because of the screen, the Lumia 1520 is ideal for surfing and browsing multimedia content, but also for business users – clear and practical Office suite comes preinstalled on the device and is easy to use. The driver is the quad-core Qualcomm Snapdragon 800 processor speed of 2.2 GHz. This phablet comes with 2 GB of RAM, which ensures the smooth launch of Windows Phone 8 with Lumia Black bodywork, as well as numerous applications. Nokia Lumia 1520 has PureView camera of 20 MP with Carl Zeiss optics and optical image stabilization and a front camera of 1.2 MP. Nokia Storyteller is an application with which you can tailor and redesign high-resolution photos, arrange photos by location shots on the map and thus from one image to tell more stories. Adding signs, effects and filters, it becomes easier than ever.